Sun., 5 Jan. - Sun., 26 Jan. Thu., 30 Jan. - Sun., 2 Feb. Thu., 26 Dec. - Sun., 5 Jan. 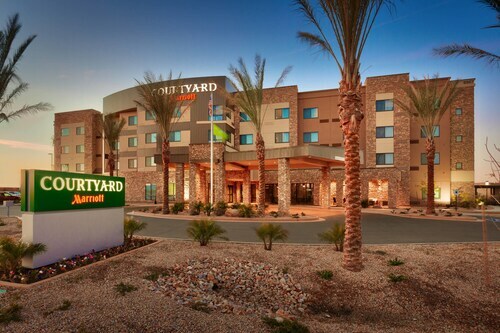 Situated in Mesa, this golf hotel is 0.3 mi (0.6 km) from Arizona State University Polytechnic Campus and 1.7 mi (2.8 km) from Higley Center for the Performing Arts. SanTan Village Marketplace and Horseshoe Park & Equestrian Centre are also within 9 mi (15 km). 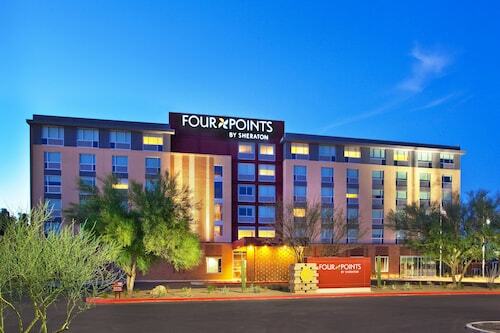 Situated in Mesa, this hotel is 1.4 mi (2.2 km) from Arizona State University Polytechnic Campus and 2.4 mi (3.9 km) from Higley Center for the Performing Arts. Superstition Springs Center and Superstition Springs Golf Club are also within 6 mi (10 km). Situated near the airport, this hotel is within 6 mi (10 km) of Higley Center for the Performing Arts, Superstition Springs Center, and SanTan Village. Mercy Gilbert Medical Center and Horseshoe Park & Equestrian Centre are also within 12 mi (20 km). 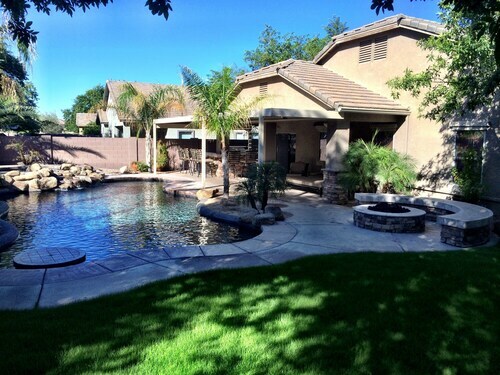 Situated in Gilbert, this vacation home is 2.4 mi (3.9 km) from Arizona State University Polytechnic Campus and 2.4 mi (3.9 km) from Higley Center for the Performing Arts. Superstition Springs Center and SanTan Village are also within 6 mi (10 km). 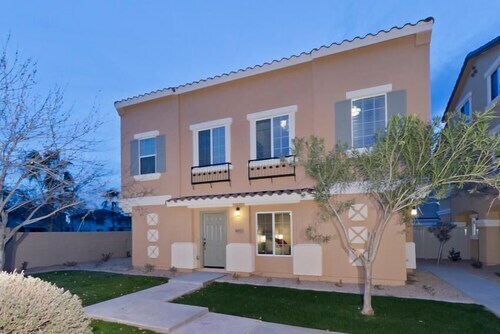 Situated in Gilbert, this condo building is close to Arizona State University Polytechnic Campus, AZ Ice, and Higley Center for the Performing Arts. Local attractions also include SanTan Village and SanTan Village Marketplace. 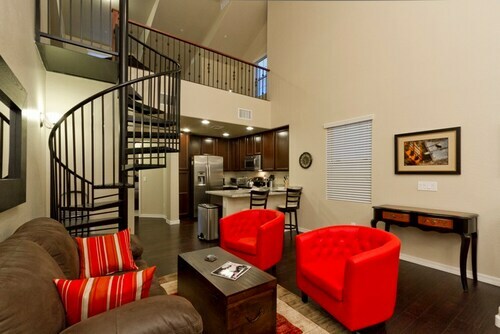 Situated in Gilbert, this romantic vacation home is 0.9 mi (1.5 km) from Higley Center for the Performing Arts and 2.4 mi (3.9 km) from Arizona State University Polytechnic Campus. SanTan Village Marketplace and Mercy Gilbert Medical Center are also within 6 mi (10 km). 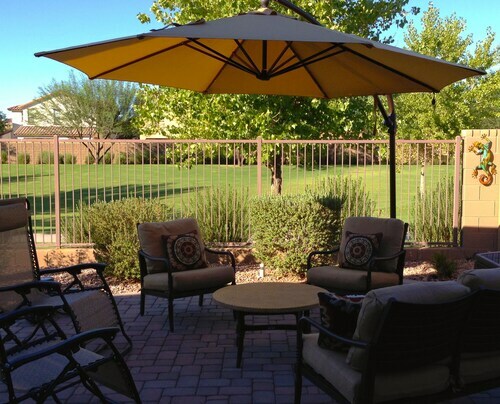 This family-friendly Gilbert vacation home is within 3 mi (5 km) of Higley Center for the Performing Arts and Arizona State University Polytechnic Campus. SanTan Village Marketplace and SanTan Village are also within 6 mi (10 km). No crying babies, mostly an older group, great flight.